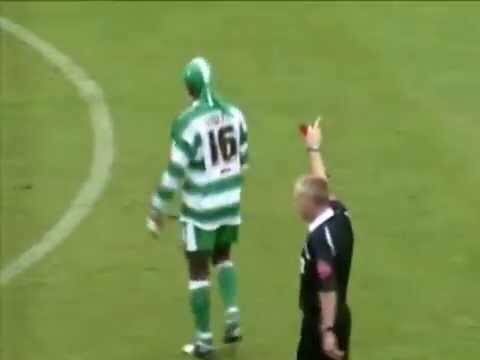 Swindon's first meeting with Yeovil came as far back as 1901, when, as Yeovil Casuals, the sides met in the Third Qualifying Round of the FA Cup, the Town ending up as 4-0 victors. Almost a year to the day later, the clubs met again in the same round of the same competition - and a hat-trick from William Kirby helped ensure the same result, another 4-0 win! 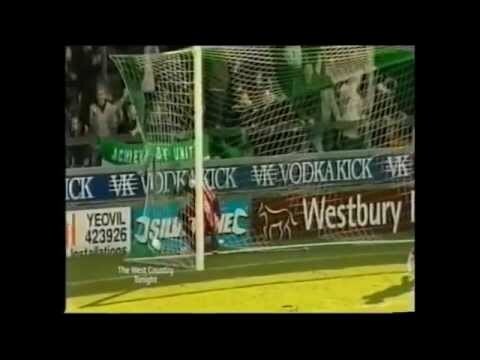 It was to be another 103 years before the Town would meet Yeovil in a league match, after finally winning promotion to the League in 2003, and up to League One in 2005, the teams met at the County Ground in August 2005 - and despite opening the scoring within seconds of the start, the Glovers returned to Somerset having been beaten 4-2. 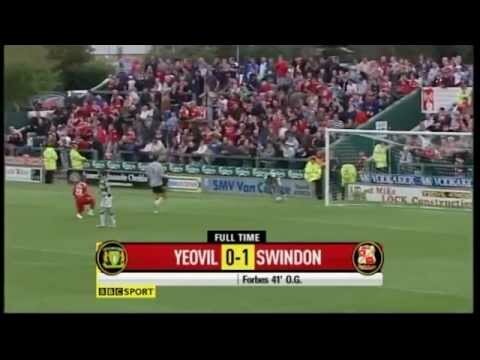 Yeovil take the lead in the opening minute, but the Town fight back - Efe Sodje sent off as Swindon win 4-2. 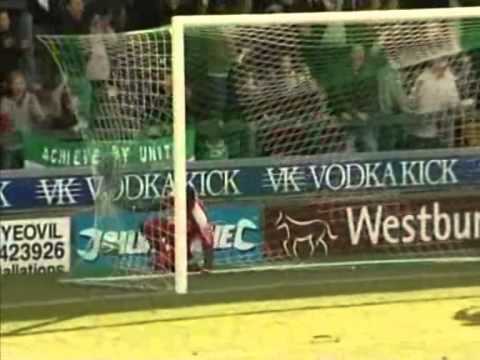 Jamie Cureton somehow misses a sitter, and two crucial points go begging at Huish Park. Billy Paynter, Simon Cox and Jon-Paul McGovern all join the club, as the long running BEST Holdings takeover finally appears to be coming to its conclusion. 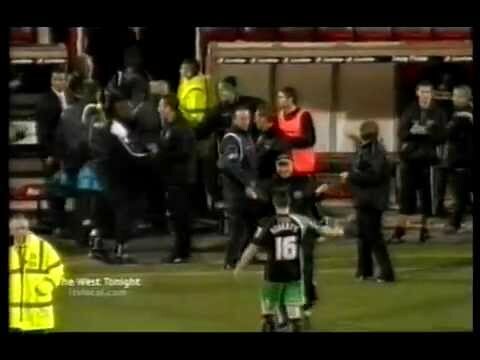 Glovers' captain Terry Skiverton is sent off, as Barry Corr nets the only goal of the game for Swindon. An abject first half performance sees the Town go 2-0 down - but after levelling matters early in the second half, Jerel Ifil's own goal leaves Swindon separated from the drop zone on goal difference. 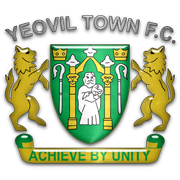 The Town give a lacklustre performance at Huish Park, defeat putting them within two points of the Glovers in the relegation drop zone. 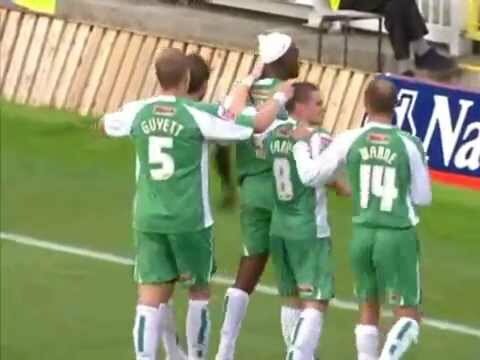 An own goal from Terrell Forbes hands Swindon all three points at Huish Park. 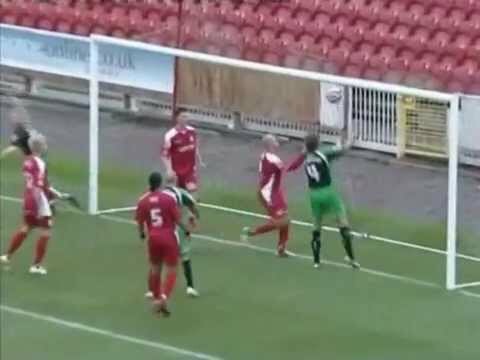 Swindon secure a thoroughly deserved 3-1 win over the Glovers. 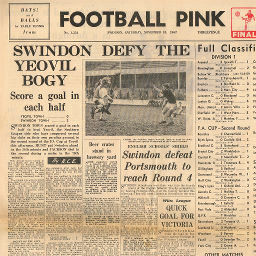 Click to view a newspaper report of Swindon's 2-0 win at Yeovil Town in the 1962-1963 season.